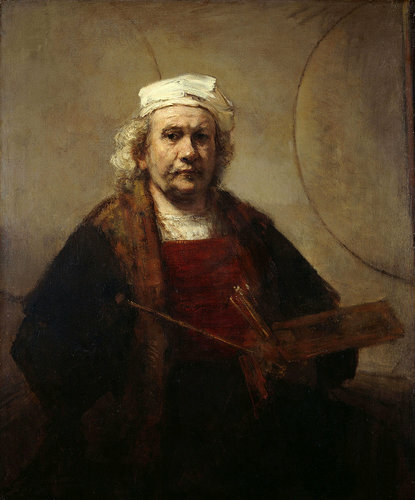 A never before seen Rembrandt is on display at the Metropolitan Museum of Art. It comes from the collection of Kenwood House in North London. This self-portrait was painted around 1665 four years before his death and is his second largest self-portrait. Before travelling to Houston's Museum of Fine Arts, you can see it at the Met's permanent collection galleries — Gallery 614 on the second floor, to be exact — beside the museum’s smaller, more modest, earlier Rembrandt self-portrait, from 1660. Read the full text at, You Can Almost Hear Him Sigh ‘Rembrandt at Work’ at Metropolitan Museum.